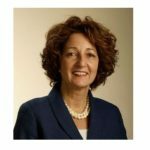 WALTHAM, Mass., July 31, 2018 (GLOBE NEWSWIRE) — Histogenics Corporation (Histogenics) (Nasdaq:HSGX), a leader in the development of restorative cell therapies (RCTs) that may offer rapid-onset pain relief and restored function, today announced the appointment of E. Lynne Kelley, M.D., FACS as its Chief Medical Officer. Dr. Kelley brings more than 20 years of executive management and surgical experience in medical affairs, clinical operations, regulatory affairs and product development to Histogenics. Dr. Kelley will join Histogenics’ executive team and assume responsibility for leading medical affairs strategy and building out the department in anticipation of NeoCart’s potential commercial launch. Dr. Kelley will also work with the team on preparing the anticipated Biologics License Application (BLA) for NeoCart and spearheading related discussions with the United States Food and Drug Administration (FDA). Dr. Kelley is a board certified general and vascular surgeon having received her medical degree from Dartmouth Medical School and completed her Residency in General Surgery at Dartmouth Hitchcock Medical Center. During her training she was awarded an NIH-sponsored basic science research grant at Harvard Medical School. She completed a Fellowship in Vascular Surgery at Harvard Medical School, Massachusetts General Hospital and was awarded the Marco Polo Fellowship providing advance training in Endovascular Surgery at the University Paris Hospital, Henri Mondor. Dr. Kelley also received a B.A. in Biology from Boston University. Prior to Histogenics, Dr. Kelley held various medical affairs roles within the industry including: Chief Medical Officer at Senseonics, World Wide Vice President of Medical Affairs at Becton Dickinson & Company Medical Surgical Systems Division, Vice President and Medical Director at Kimberly Clark, and Medical Director at Boston Scientific Corporation’s (Boston Scientific) Peripheral Interventions and Vascular Surgery division. Prior to her work at Boston Scientific, Dr. Kelley was an assistant professor of vascular surgery and radiology at Yale University. In connection with the hiring of Dr. Kelley, the Compensation Committee of Histogenics’ Board of Directors approved a grant to Dr. Kelley of a stock option to purchase 200,000 shares of Histogenics’ common stock. The option was granted pursuant to the Nasdaq inducement grant exception as a component of Dr. Kelley’s employment compensation, and was granted as an inducement material to her acceptance of employment with Histogenics in accordance with Nasdaq Listing Rule 5635(c)(4). The option will have an exercise price equal to the closing price of Histogenics’ common stock on July 31, 2018. The option has a ten year term and vests with respect to 25% of the shares of common stock underlying the option on the one year anniversary of Dr. Kelley’s first day of employment with Histogenics and with respect to the remaining shares in equal monthly installments over the following 36 months, subject to Dr. Kelley’s continued service with Histogenics through the applicable vesting dates. Histogenics (Nasdaq: HSGX) is a leader in the development of restorative cell therapies that may offer rapid-onset pain relief and restored function. Histogenics’ lead investigational product, NeoCart, is designed to rebuild a patient’s own knee cartilage to treat pain at the source and potentially prevent a patient’s progression to osteoarthritis. NeoCart is one of the most rigorously studied restorative cell therapies for orthopedic use. Histogenics completed enrollment of its NeoCart Phase 3 clinical trial in the second quarter of 2017 and expects to report top-line, one-year superiority data in the third quarter of 2018. NeoCart is designed to perform like articular hyaline cartilage at the time of treatment, and as a result, may provide patients with more rapid pain relief and accelerated recovery as compared to the current standard of care. Histogenics’ technology platform has the potential to be used for a broad range of additional restorative cell therapy indications. For more information on Histogenics and NeoCart, please visit www.histogenics.com. Important factors that could cause actual results to differ materially from those reflected in Histogenics’ forward-looking statements include, among others: the timing and success of Histogenics’ NeoCart Phase 3 clinical trial , including, without limitation, possible delays in generating the data from the clinical trial; the ability to obtain and maintain regulatory approval of NeoCart or any product candidates, and the labeling for any approved products; MEDINET’s ability to initiate NeoCart clinical development in Japan in a timely manner; NeoCart’s regulation as a Regenerative Medical Product in Japan; the market size and potential patient population in Japan; the scope, progress, expansion, and costs of developing and commercializing Histogenics’ product candidates; the ability to obtain and maintain regulatory approval regarding the comparability of critical NeoCart raw materials following our technology transfer and manufacturing location transition; the size and growth of the potential markets for Histogenics’ product candidates and the ability to serve those markets; Histogenics’ expectations regarding its expenses and revenue; the sufficiency of Histogenics’ cash resources and the availability of additional financing on commercially reasonable terms; and other factors that are described in the “Risk Factors” and “Management’s Discussion and Analysis of Financial Condition and Results of Operations” sections of Histogenics’ Annual Report on Form 10-K for the year ended December 31, 2017 and Quarterly Report on Form 10-Q for the quarter ended March 31, 2018, which are on file with the SEC and available on the SEC’s website at www.sec.gov. Additional factors may be set forth in those sections of Histogenics’ Quarterly Report on Form 10-Q for the quarter ended June 30, 2018, to be filed with the SEC in the third quarter of 2018. In addition to the risks described above and in Histogenics’ Annual Report on Form 10-K and Quarterly Reports on Form 10-Q, Current Reports on Form 8-K and other filings with the SEC, other unknown or unpredictable factors also could affect Histogenics’ results. WARSAW, Ind., July 31, 2018 (GLOBE NEWSWIRE) — OrthoPediatrics Corp. (NASDAQ:KIDS), a company exclusively focused on advancing the field of pediatric orthopedics, is pleased to announce that FIREFLY® Pedicle Screw Navigation Guides (“FIREFLY”) received additional FDA 510(k) clearance for an expanded indication to include S2AI [screw] trajectory for sacral-iliac fixation in complex spinal reconstruction surgeries, including scoliosis. 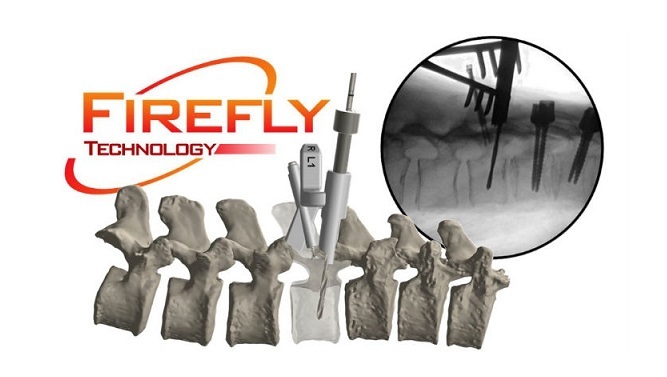 When applied to the challenging S2AI trajectory, the precise and personalized mechanical guidance enabled by FIREFLY minimizes complexities associated with crossing the sacral-iliac joint while eliminating the need for excessive radiation/fluoroscopy. 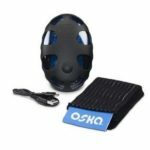 OrthoPediatrics is the exclusive distributor of FIREFLY technology in children’s hospitals in the US. FIREFLY is FDA-cleared for use in adult and pediatric populations and is manufactured by Mighty Oak Medical. The patient-specific, 3D printed FIREFLY Pedicle Screw Navigation Guides are a novel solution to complex and costly navigation systems. This patented navigation technology is designed to increase OR efficiency and eliminate the need for intraoperative radiation, making it the optimal choice in more complicated spinal construct cases, such as those involving the S2AI trajectory. Mighty Oak Medical is an independent incubator focused on developing and marketing spinal technologies that improve operating room efficiencies, surgical outcomes, and the overall patient experience, by leveraging the talents of experienced surgeons and biomedical engineers. They are located in Englewood, Colorado. For more information, call 720-398-9703 or send an inquiry to info@mightyoakmedical.com. 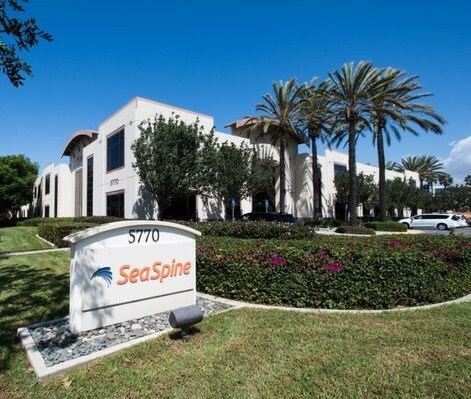 CARLSBAD, Calif., July 30, 2018 (GLOBE NEWSWIRE) — SeaSpine Holdings Corporation (NASDAQ:SPNE), a global medical technology company focused on surgical solutions for the treatment of spinal disorders, announced today financial results for the quarter ended June 30, 2018 and updated its financial outlook for 2018. Total revenue for the second quarter of 2018 was $36.4 million, a 6.5% increase compared to the same period of the prior year. Total U.S. revenue was $32.6 million, a 7.5% increase compared to the same period of the prior year. Spinal Implants revenue totaled $17.8 million, a 7.2% increase compared to the second quarter of 2017, and was driven by growth in recently launched products, led primarily by the Shoreline and Mariner systems. Orthobiologics revenue totaled $18.6 million, a 5.8% increase compared to the second quarter of 2017, and was led by growth in the DBM franchise, including the Company’s OsteoBallast™ and OsteoStrand™ products. Gross margin for the second quarter of 2018 was 60.0%, compared to 59.1% for the same period in 2017. The increase was primarily driven by higher gross margins associated with U.S. spinal implant sales, which were higher as a percentage of total revenue compared to the same period of the prior year. Operating expenses for the second quarter of 2018 totaled $29.0 million, compared to $28.4 million for the same period of the prior year. The $0.6 million increase in operating expenses was driven by higher selling and marketing expenses, partially offset by lower R&D and general and administrative expenses. Net loss for the second quarter of 2018 was $7.4 million, compared to a net loss of $8.0 million for the same period of the prior year. Cash and cash equivalents at June 30, 2018 totaled $13.3 million and the Company borrowed $4.0 million of cash under its credit facility during the second quarter of 2018. SeaSpine expects full-year 2018 revenue to be in the range of $136 to $139 million, reflecting growth of 3.2% to 5.5% over full-year 2017 revenue. The Company’s management team will host a conference call beginning today at 1:30pm PT/4:30pm ET to discuss the financial results and recent business developments. Individuals interested in listening to the conference call may do so by dialing (877) 418-4766 for domestic callers or (614) 385-1253 for international callers, using Conference ID: 7260839. To listen to the webcast, please visit the Investors section of the SeaSpine website at: www.seaspine.com. The call will be archived until Friday, August 31, 2018. The audio archive can be accessed by calling (855) 859-2056 in the U.S. or (404) 537-3406 from outside the U.S. The passcode for the audio replay is 7260839. SeaSpine cautions you that statements included in this news release that are not a description of historical facts are forward-looking statements that are based on the Company’s current expectations and assumptions. 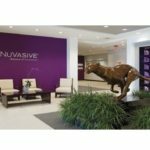 Such forward-looking statements include, but are not limited to, statements relating to: the Company’s ability to advance its strategic objectives through its product pipeline, distribution footprint, and medical education and training programs; and the Company’s expectations for full-year 2018 revenue. Among the factors that could cause or contribute to material differences between the Company’s actual results and the expectations indicated by the forward-looking statements are risks and uncertainties that include, but are not limited to: surgeons’ willingness to continue to use the Company’s existing products and to adopt its newly launched products, including the risk that the Company’s products do not demonstrate adequate safety or efficacy, independently or relative to competitive products, to support expected levels of demand or pricing; the Company’s ability to continue to invest in medical education and training, product development, and/or sales and marketing initiatives at levels sufficient to drive future revenue growth, including as a result of its inability to obtain funding on a timely basis on acceptable terms, or at all; the ability of newly launched products to perform as designed and intended and to meet the needs of surgeons and patients, including as a result of the lack of clinical validation of products in limited commercial (or “alpha”) launch; the Company’s ability to attract new, high-quality distributors, whether as a result of inability to reach agreement on financial or other contractual terms or otherwise, disruption to the Company’s existing distribution network as new distributors are added, and the ability of new distributors to generate growth or offset disruption to existing distributors; continued pricing pressure, whether as a result of consolidation in hospital systems, competitors or others, as well as exclusion from major healthcare systems, whether as a result of unwillingness to provide required pricing or otherwise; the risk of supply shortages and the associated, potentially long-term disruption to product sales, including as a result of the Company’s dependence on a limited number of third-party suppliers for components and raw materials, or otherwise; unexpected expense and delay, including as a result of developing and supporting the launch of new products, the fact that newly launched products may require substantial additional development activities, which could introduce further expense and delay, or as a result of obtaining regulatory clearances; general economic and business conditions in the markets in which the Company does business, both in the U.S. and abroad; and other risks and uncertainties more fully described in the Company’s news releases and periodic filings with the Securities and Exchange Commission. The Company’s public filings with the Securities and Exchange Commission are available at www.sec.gov. LONDON, July 31, 2018 /PRNewswire/ — Bone Grafts and Substitutes Market Size, Share & Trends Analysis Report By Material Type (Natural, Synthetic), By Application Type (Spinal Fusion, Craniomaxillofacial, Long Bone), By Region, And Segment Forecasts, 2018 – 2025. The global bone grafts and substitutes market size is expected to reach USD 3.9 billion by 2025, according to a new report by Grand View Research, Inc. The market is expected to register a healthy CAGR of 5.5% during the forecast period. Demand for bone grafts and substitutes is increasing due to adoption of newer technologies and increasing demand for minimally invasive procedures. 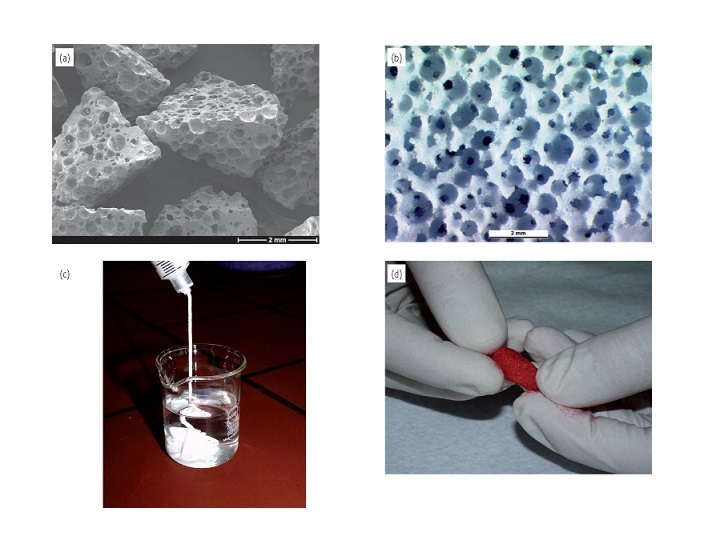 Availability of advanced products in varied shapes and sizes providing high osteoconductive and osteoinductive properties is supporting market growth.Moreover, growing adoption of minimally invasive procedures is spurring demand for bone grafts and substitutes. In minimally invasive procedures, large incisions and damage to muscles surrounding repair area can be significantly avoided.These techniques also reduce the duration of hospital stay and support rapid wound healing with lesser pain and surgical wounds. Minimally invasive total joint replacement and spine surgeries are some of the newly adopted procedures. 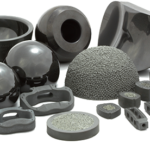 Some of the companies in the bone grafts and substitutes market are DePuy Synthes; Medtronic PLC; Nuvasive, Inc.; Orthofix Holdings, Inc.; Wright Medical Group N.V.; AlloSource, Inc.; and Stryker Corp.
• Key players in the market include DePuy Synthes; Medtronic PLC; Nuvasive, Inc.; Orthofix Holdings, Inc.; Wright Medical Group N.V.; AlloSource, Inc.; and Stryker Corp.
Episurf Medical (NASDAQ: EPIS B) today announces that the company has received initial feedback from the US Food and Drug Administration (FDA) on the Investigational Device Exemption (IDE) application for the Episealer® knee implant that was submitted in June. The company filed the IDE application to get approval to initiate a clinical study in the US. Episurf Medical has now received communication on the IDE application within 30 days according to FDA’s communicated timetable and now has some details to address prior to a finalised IDE study design will be set. “We are now entering into the next phase for the IDE application. Episurf considers the FDA feedback as manageable and we are looking forward to continued work with our advisors to get the IDE study up and running according to our initial schedule” comments Pål Ryfors, CEO, Episurf Medical. This information is information that Episurf Medical AB is obliged to make public pursuant to the EU Market Abuse Regulation. The information was submitted for publication, through the agency of the contact person set out above, at 08.30 CEST on 30 July 2018. PALO ALTO, Calif., July 30, 2018 (GLOBE NEWSWIRE) — CloudMedx, a healthcare artificial intelligence (AI) company based in Palo Alto, Calif., announced today a research collaboration with the UCSF Department of Orthopaedic Surgery to study how patient-generated health care data collected from consumer-grade wearable sensors may predict clinical outcomes following hip and knee replacement surgery. By looking at structured and unstructured data from patient medical records, as well as from wearable devices, the UCSF research team, advised by the National Science Foundation’s Center for Disruptive Musculoskeletal Innovations, aims to create a new class of algorithms that can predict a patient’s individual outcome and recovery following surgery. According to Dr Bini, the current gold standard for patient evaluations are validated patient reported outcome surveys, which are obtained prior to surgery and at one year following surgery, when the maximum improvement is deemed to have been reached. However, data points gathered in the interim have not been validated and are generally discouraged. Very preliminary data was presented this spring at the Orthopedic Research Society. Early signals have demonstrated what kind of data is predictive of what kind of outcome and that it may predict 6-week PROs with a high degree of accuracy in a given individual as early as 2 weeks following surgery. CloudMedx is a clinical artificial intelligence platform that provides real time clinical insights to the healthcare industry with the goal of improving clinical and operational outcomes. 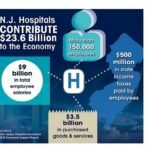 The company uses evidence-based algorithms, machine learning and natural language to sift through both unstructured data as well as structured data to help providers and health systems improve care delivery, reduce costs, and optimize their workflows. For more information, visit www.cloudmedxhealth.com. 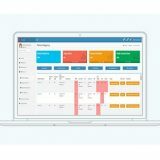 The information stated above was prepared by CloudMedx to report on research conducted on its product and reflects solely the opinion of CloudMedx. Nothing in this statement shall be construed to imply any support or endorsement of CloudMedx, or any of its products, by The Regents of the University of California, its officers, agents and employees. 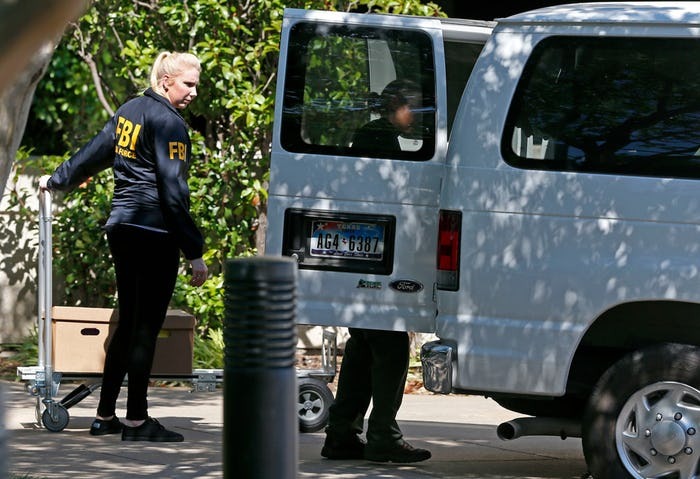 While federal prosecutors in Dallas prepare for upcoming health care fraud trials, the FBI and other investigators are continuing to raid more medical businesses, looking for evidence of illegal kickbacks. Last week, the FBI searched the Dallas offices of Next Health, which owned a network of testing labs and pharmacies. Next Health is already facing fraud allegations from insurance giant United Healthcare, which claims the company gave people gift cards to urinate in cups in Whataburger bathrooms. The FBI also searched the offices of Critical Health Care Management, which agents say took over Next Health’s operations. Andrew Hillman and Semyon Narosov, who allegedly control both businesses, are charged with health care fraud in an unrelated federal case in Dallas involving the defunct Forest Park Medical Center. Next Health is one of several Dallas-area health care businesses that are currently the subject of federal indictments and investigations. The recent raids indicate the government is not done cracking down on testing labs and compounding pharmacies, which have been a focus of kickback investigations nationwide for the past few years. Michael McCaslin, a Dallas FBI agent, said during a July 24 court hearing that the bureau is looking at whether Next Health paid kickbacks to doctors for referring patients to the company’s pharmacies. The agent also said Next Health is suspected of using animal drugs in its pharmacies and manipulating ingredients to overcharge insurance companies. McCaslin said doctors invested in Next Health’s pharmacies and were paid kickbacks in the form of dividends that in some cases were tied to the volume of their referrals. “You had to be prescribing or else you’d be asked to leave,” the agent said. McCaslin’s testimony was given during a detention hearing for Hillman and Narosov, who were recently arrested on drug distribution charges related to a marijuana dispensary they allegedly owned in Los Angeles. An attorney for Next Health did not respond to requests for comment about the raids and FBI investigation. Medicare is reviewing whether seniors should undergo spine surgeries at same-day surgery centers, the government-run health program announced Wednesday, five months after a USA Today Network-Kaiser Health News investigation revealed a spate of patient deaths following the procedures. 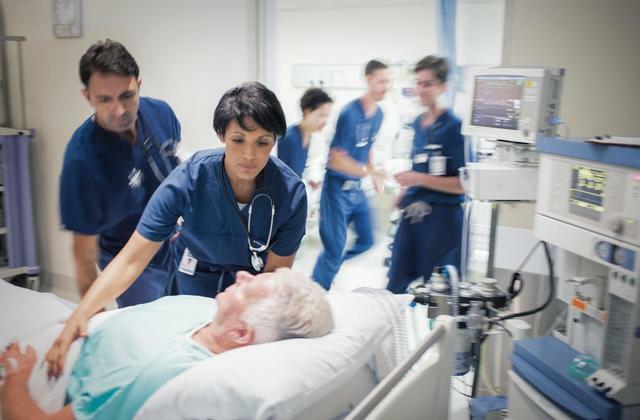 The proposal states that Medicare officials will examine whether these procedures “pose a significant safety risk” to patients and continue to “meet the criteria” for Medicare payment. The news investigation found that in 2015 and in 2017 Medicare approved same-day spine operations for seniors even though at least 14 patients had died since 2008 after such procedures. Some suffocated from a well-known complication of upper-spine surgery that can generally be reversed if caught immediately and treated properly. The investigation also found that some medical professionals urging Medicare to pay surgery centers to operate on seniors’ spines failed to mention recent incidents of death at their own or an affiliated facility. Dr. Nancy Epstein, a chief of neurosurgical and spine education at New York University Winthrop Hospital, lauded the proposal, saying patients face extensive risks after spine surgery. “It’s about time,” Epstein said of the review proposal, which she expects to rankle some doctors who have a financial stake in a spine surgery center. Bill Prentice, executive director of the Ambulatory Surgery Center Association, which represents the centers in policymaking discussions, said he supports Medicare stepping up its efforts to perform an internal and external review of the procedures it pays for at surgery centers. Medicare announced the plan to re-evaluate its decision to pay for seniors’ spine procedures in an annual rule-making document released Wednesday. The agency is accepting comments on the proposed changes through Sept. 24 and is expected to release a final decision late in the year. WESTMINSTER, Colo., July 30, 2018 /PRNewswire/ — Cerapedics, a privately-held orthobiologics company, today announced that the first patients have been enrolled in an investigational device exemption (IDE) clinical trial evaluating the safety and efficacy of the next-generation P-15L Peptide Enhanced Bone Graft in transforaminal lumbar interbody fusion (TLIF) surgery. The prospective, single-blinded, multi-center, randomized, non-inferiority pivotal IDE study will evaluate the safety and efficacy of P-15L Bone Graft compared to use of an autologous bone graft when applied in TLIF surgery. The study will include a total of 364 patients with degenerative disk disease at up to 30 clinical trial sites across the U.S. once it is fully enrolled. In TLIF procedures, surgeons historically obtained bone graft from the patient’s pelvis and placed it in the interbody space to promote fusion when joining and stabilizing one or more vertebrae. P-15L Bone Graft is based on a biomimetic small peptide (P-15) technology developed by Cerapedics to support bone growth through cell attraction, attachment, and activation, and is designed to be used as a substitute for autologous bone. In 2015, the company’s first-generation bone graft became the first bone graft to be approved for use in the cervical spine and only the second PMA-approved bone graft in the spine. “The team at the Foundation for Orthopaedic Research and Education is pleased to participate in this important IDE trial of P-15L Bone Graft. Being involved in the study of a new drug-device combination product for spinal fusion is gratifying. We look forward to this first step in potentially expanding the indications for use of peptide enhanced bone grafts to the lumbar spine,” said Dr. John M. Small, M.D., of Tampa, Florida. CAUTION: P-15L Bone Graft is an Investigational Product limited by Federal (USA) Law to Investigational Use. Consolidated net sales of $3.3 billion increased 11.0% in the quarter and 9.9% in constant currency. Organic net sales increased 7.9% in the quarter including 9.0% from increased unit volume partially offset by 1.1% from lower prices. Orthopaedics net sales of $1.2 billion increased 8.0% in the quarter and 6.6% in constant currency. Organic net sales increased 6.6% in the quarter including 8.9% from increased unit volume partially offset by 2.3% from lower prices. MedSurg net sales of $1.5 billion increased 10.0% in the quarter and 9.2% in constant currency. Organic net sales increased 7.3% in the quarter including 7.6% from increased unit volume partially offset by 0.3% from lower prices. Neurotechnology and Spine net sales of $0.6 billion increased 20.1% in the quarter and 18.5% in constant currency. Organic net sales increased 12.4% in the quarter including 13.3% from increased unit volume partially offset by 0.9% from lower prices. Reported net earnings of $452 million increased 15.6% in the quarter. Reported net earnings per diluted share of $1.19 increased 15.5% in the quarter. Reported net earnings include certain items, including charges for acquisition and integration-related activities, the amortization of purchased intangible assets, restructuring-related and other charges, compliance with European Medical Devices Regulation, Rejuvenate and other recall-related matters, regulatory and legal matters and tax matters. The effect of each of these matters on reported net earnings and net earnings per diluted share appear in the reconciliation of GAAP to non-GAAP financial measures. Excluding the aforementioned items increases gross profit margin from 65.9% to 66.1% in the quarter and increases operating income margin from 20.2% to 25.7%(1), including a 20 basis point favorable impact related to the adoption of the new revenue recognition standard(2). Excluding the impact of the items described above, adjusted net earnings(4) of $670 million increased 15.3% in the quarter. Adjusted net earnings per diluted share(3) of $1.76 increased 15.0% in the quarter. Based on our year-to-date performance we now expect 2018 organic net sales growth, which excludes the impact related to adoption of the new revenue recognition standard(2), to be in the range of 7.0% to 7.5% and expect adjusted net earnings per diluted share(5) to be in the range of $7.22 to $7.27. In 2018 our calculation of organic net sales growth excludes the impact of adopting ASC 606(2), which includes primarily the reclassification of costs previously reported within selling expenses to a reduction of sales, which for 2017 was approximately $112 million ($28 million per quarter). For the third quarter we expect adjusted net earnings per diluted share(5) to be in the range of $1.65 to $1.70. If foreign currency exchange rates hold near current levels, we expect net sales in the third quarter will be negatively impacted by approximately 0.9% and full year will be positively impacted by approximately 0.5% and net earnings per diluted share will be neutral in the third quarter and positively impacted by $0.05 in the full year. (1) A reconciliation of operating income to adjusted operating income, a non-GAAP financial measure, and other important information accompanies this press release. (2) Consistent with previous press releases and financial disclosures, we adopted Accounting Standards Update 2014-09, Revenue From Contracts with Customers, as well as related amendments (ASC 606), issued by the Financial Accounting Standards Board on a modified retrospective basis, effective January 1, 2018. The impact of the adoption of ASC 606 related primarily to the reclassification of certain costs previously presented as selling, general and administrative expenses to net sales. (3) A reconciliation of reported net earnings per diluted share to adjusted net earnings per diluted share, a non-GAAP financial measure, and other important information accompanies this press release. (4) A reconciliation of reported net earnings to adjusted net earnings, a non-GAAP financial measure, and other important information accompanies this press release. (5) A reconciliation of expected net earnings per diluted share to expected adjusted net earnings per diluted share for the third quarter and full year and other important information accompanies this press release. 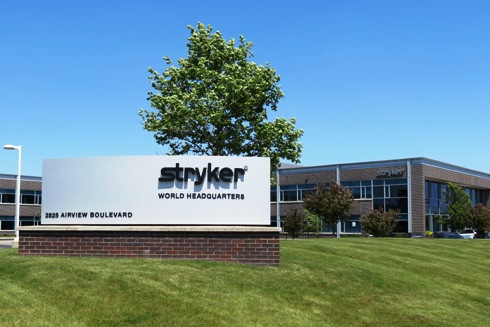 As previously announced, Stryker will host a conference call on Tuesday, July 24, 2018 at 4:30 p.m., Eastern Time, to discuss the Company’s operating results for the quarter ended June 30, 2018 and provide an operational update. A simultaneous webcast of the call will be accessible via the Company’s website at www.stryker.com. The webcast will be archived on the Investors page of this site. This press release contains information that includes or is based on forward-looking statements within the meaning of the federal securities laws that are subject to various risks and uncertainties that could cause our actual results to differ materially from those expressed or implied in such statements. Such factors include, but are not limited to: weakening of economic conditions that could adversely affect the level of demand for our products; pricing pressures generally, including cost-containment measures that could adversely affect the price of or demand for our products; changes in foreign exchange markets; legislative and regulatory actions; unanticipated issues arising in connection with clinical studies and otherwise that affect U.S. Food and Drug Administration approval of new products; potential supply disruptions; changes in reimbursement levels from third-party payors; a significant increase in product liability claims; the ultimate total cost with respect to the Rejuvenate and ABG II matter; the impact of investigative and legal proceedings and compliance risks; resolution of tax audits; the impact of the federal legislation to reform the United States healthcare system; changes in financial markets; changes in the competitive environment; our ability to integrate acquisitions; and our ability to realize anticipated cost savings. Additional information concerning these and other factors is contained in our filings with the U.S. Securities and Exchange Commission, including our Annual Report on Form 10-K and Quarterly Reports on Form 10-Q.